The chariot festival (ratholsavam) at Kalppathi village marks the beginning of chariot festivals in temples associated with 98 agraharams (settlement of Brahmins) in Palakkad district. The antiquity of the festival goes back to the Vedic times. 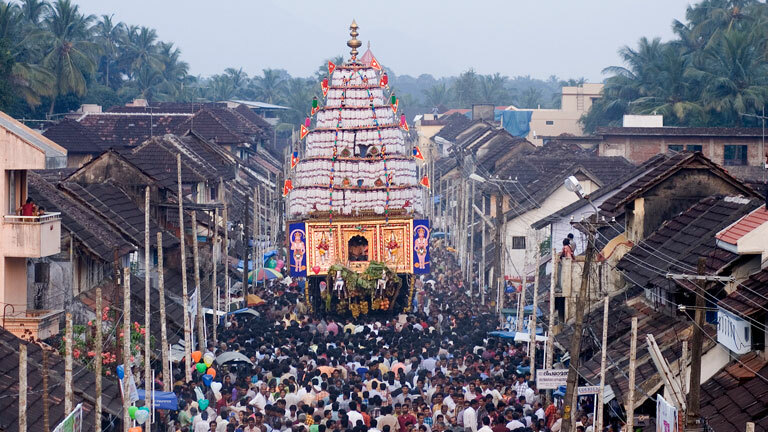 The highlight of the festival is the carting of huge, intricately carved temple chariots through the streets of Kalppathi by thousands of devotees. Traditionally, the village of Kalppathi has a settlement of Tamil Brahmins. The Viswanatha temple by the side of the Kalppathi river is the nerve centre of festivities. The Kalppathi chariot festival was the biggest of festivals in the Malabar region, when the region was under the Madras presidency during the British rule. The first day of the festival will have once chariot, then two on the second day and three on the third day.